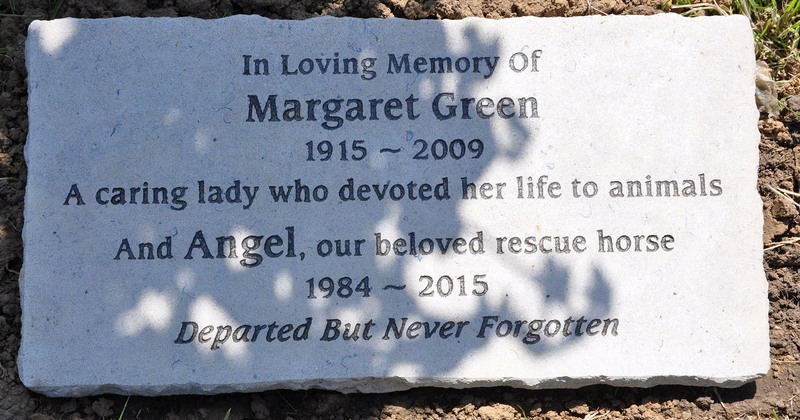 A memorial stone dedicated to Margaret Green whose animal rescue centre carries her name has been unveiled – to mark 50 years of the charity. The Purbeck stone memorial has been placed in the rescue centre’s newly renovated garden of remembrance. It was funded by the Dorset Funeral Plan, which is run by Dorset’s Douch Family Funeral Directors. Margaret Green Animal Rescue in Church Knowle, Dorset, has achieved much in its first 50 years and is busy planning for the next half century. The stone memorial also mentions ‘Angel’, a rescued horse who passed away in January after 30 years at the centre. Margaret’s father Jerry began the charity in 1965 but died three years later just before the Church Knowle site opened. His daughter Margaret carried it on and worked tirelessly for rescued animals until her death in 2009, aged 94. 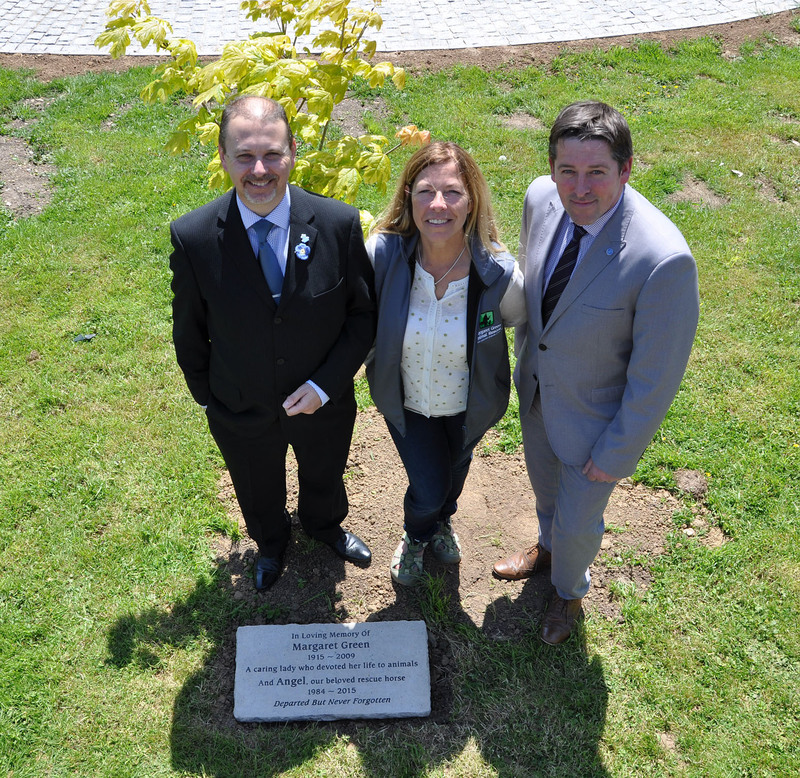 Malcolm Green from James Smith Funeral Directors in Swanage and Mark Alder from Albert Marsh Funeral Directors in Wareham organised for the stone to be inscribed. They are part of the Douch funeral group which also developed and supplies the award-winning Dorset Funeral Plan. Nick Douch, MD of the group, said: “Like Margaret Green Animal Rescue, our two Purbeck branches have a long and proud history in the area. 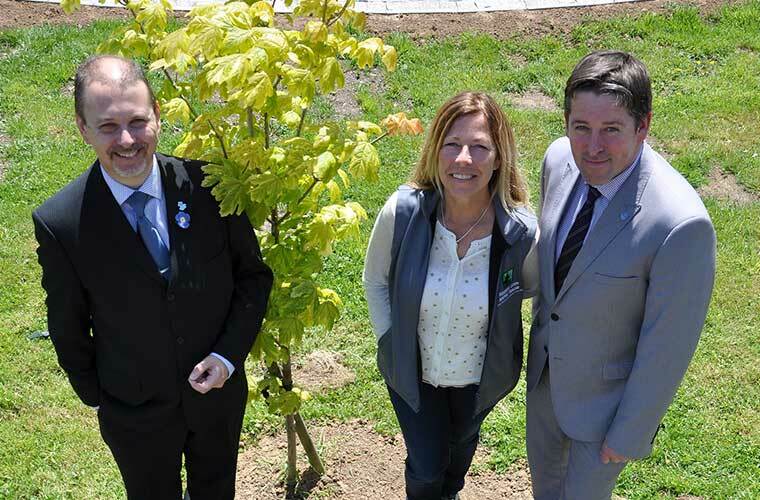 “With the garden of remembrance being renovated and expanded in the 50th anniversary year it was fitting there was a permanent tribute to Margaret Green. Kate Cross, the centre’s fundraising and marketing officer, said: “We have received some wonderful support from companies to help us mark our anniversary. “The garden of remembrance has been totally renovated and extended and the memorial stone really tops it off.